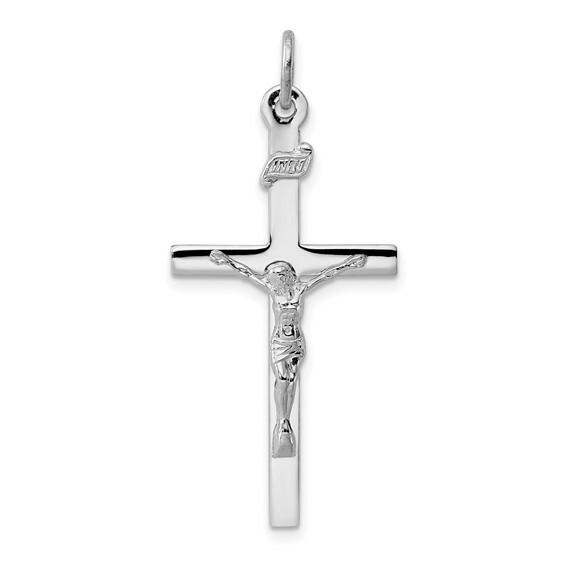 INRI crucifix pendant is made of polished sterling silver. Dimensions: 1 1/4in x 11/16in. Weight: 2.2 grams. INRI. Crosses with a representation of the body of Christ, or corpus, are crucifixes and recall the death and resurrection of Christ. Awesome product. Would buy from again. I bought this for my husband because he lost his. He is very happy with it and wears it 24/7.